bite size Archives - MOMables® - Good Food. Plan on it! bite size Archives - MOMables® - Good Food. Plan on it! Tag Archives for " bite size "
Need low carb breakfast ideas? 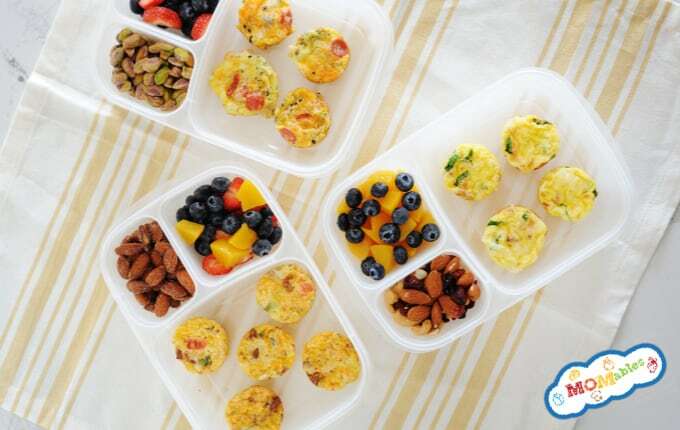 I’ve got three breakfast eggs cups for a quick and easy breakfast on the go. I made taco, pizza, and spinach and bacon egg cups or mini quiches in one pan since I couldn’t decide which one of the three to make. What snacks do your kids love? Sweet and salty, chocolate, fruit, or gluten-free? No matter which one they reach for, there is something for everyone with these healthy high fiber snacks. Healthy muffins for kids are a must and these Pumpkin Chocolate Chip Protein Muffins are perfect for a quick breakfast or snack. If you need to make healthy school lunches for teenage athletes or active kids, you’ve come to the right place; because as a mom to 3 kids, I know what it’s like when an active kid can eat you out of the house. While school sports are a great way for kids to get involved, socialize, and learn new skills, they also work up an appetite. And we all know that this means that the first words out of their mouth when they get home are… “I’m starving!” Right? 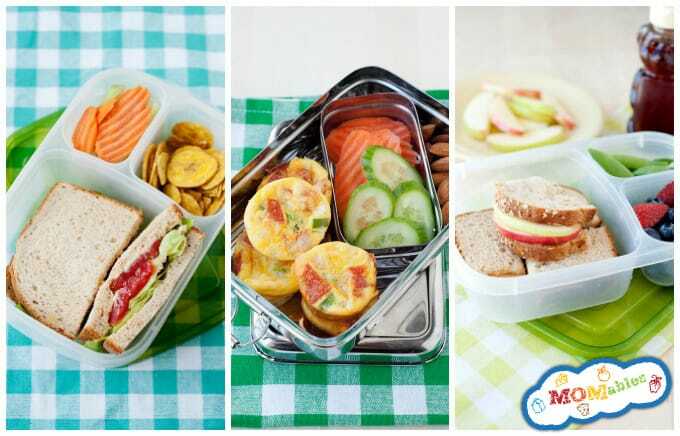 These easy school lunch ideas will keep them energized and ready to score the winning point every day since they have a good balance of protein, carbs, and healthy fats. Need a snack that’s healthy but also tastes like dessert? 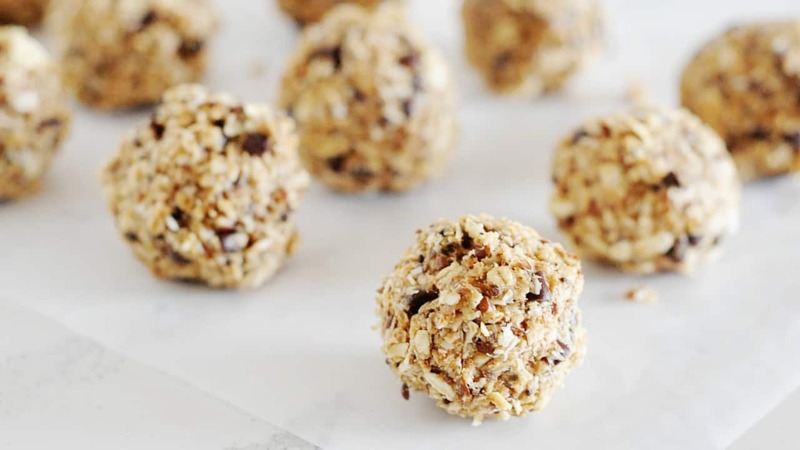 These No-Bake Oatmeal Raisin Energy Bites will do just the trick. 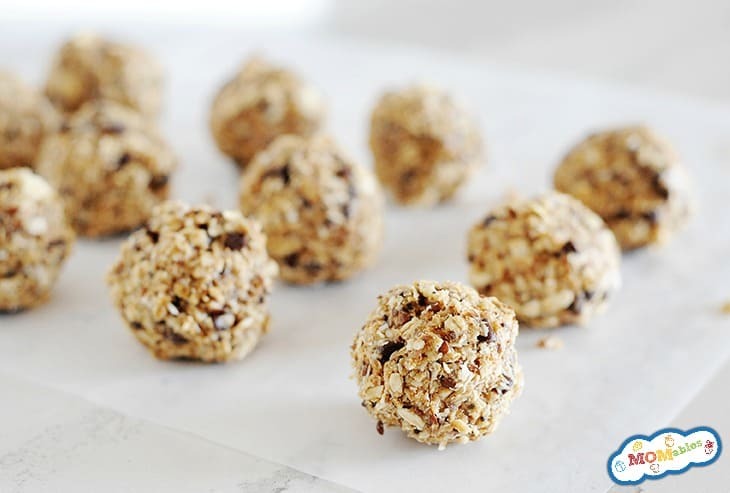 Watch how easy these no-bake, bite-size snacks are to make in this video. Snack time is a must around most households, so keeping your pantry stocked with healthy, easy options is a must. But when you are a busy parent, what can you make that’s fast, healthy, and loved by the kids? I love homemade snacks so much that I wrote an entire book, The Best Homemade Kids’ Snacks on the Planet devoted to helping families master homemade snacking! 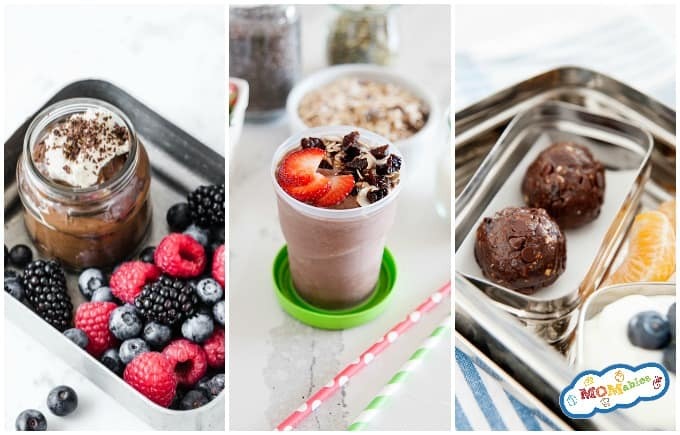 You’ll find everything from no-bake treats, smoothies, homemade fruit leather, and mini meals, you know, the works!